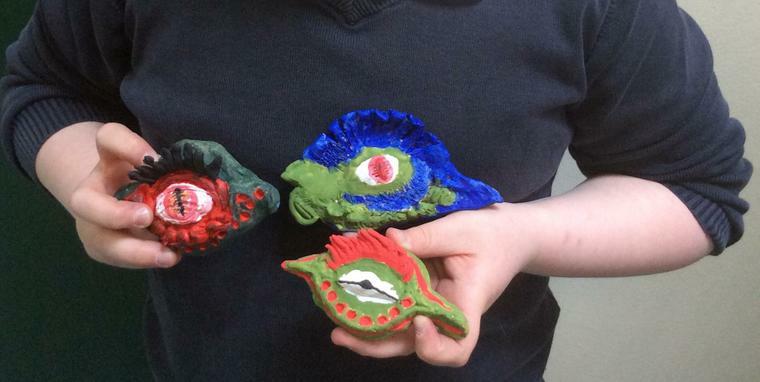 The other week in our Year 5 Learning Cafe, we used clay to model dragon eyes as part of our topic on The Vikings. 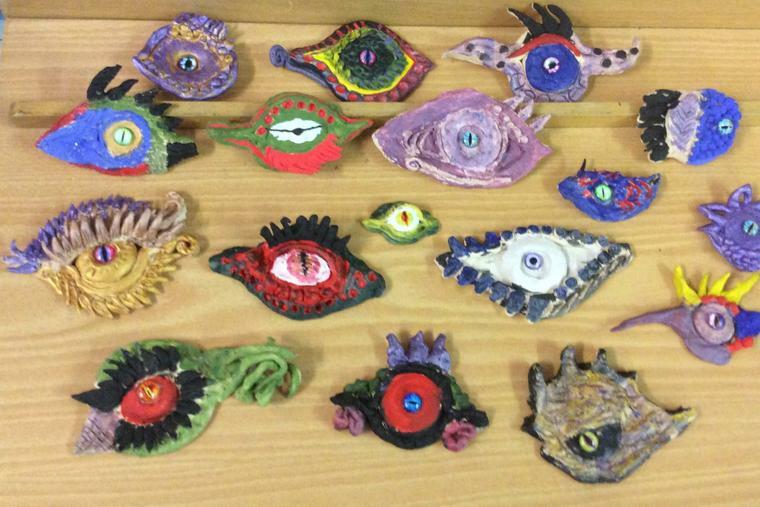 This week, after they had been fired in the kiln, we painted them and decorated them to make them look really exciting and realistic. They all turned out fantastically and were fun to make. 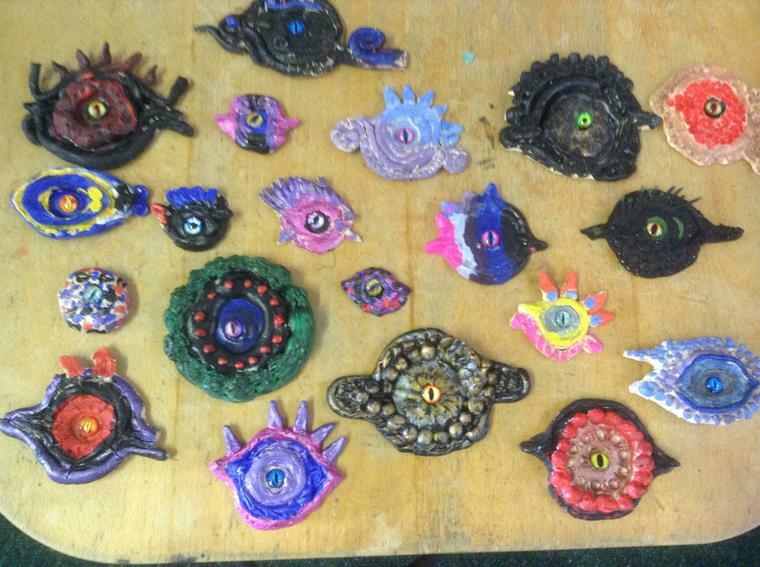 Here are some pictures of a few of the finished articles. On Monday 28th January Year 5 held Ancient Greek learning cafes, with over 25 parents attending across the year group. After learning about Greek Gods and some co-operative learning of Catch 1 Partner to learn and discuss about some of the different symbols/responsibilities of the Olympian gods. We then did a relief carving using a bar of soap - we first drew a picture into the soap then carved out the space around it to make out shape stand out. It was very messy but fun and it resulted in some beautiful artwork. Although it was a messy craft many parents commented that it was one of the most unusual and creative cafes they had attended.